Many people think a comedian only gets paid to perform live comedy into a microphone in front of an audience. 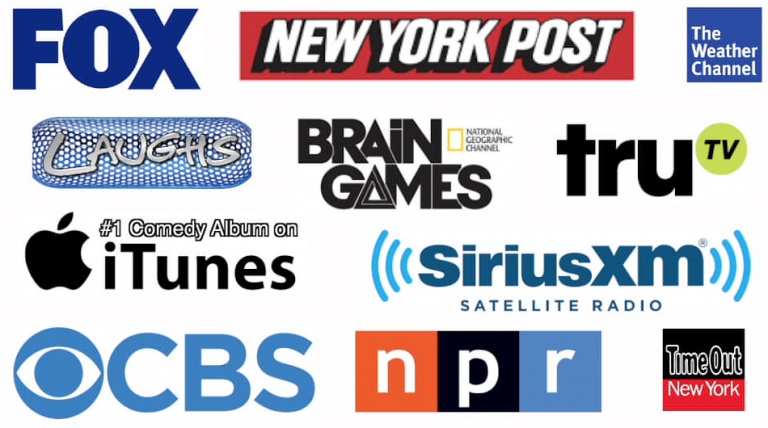 But did you know that there’s at least 20 other ways comedians make income? Until you have the name recognition of Bill Burr or Louis CK, making money in comedy, particularly stand up comedy, can be quite the up and down adventure. 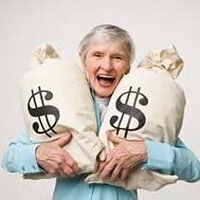 For most comedians I know, the key to staying afloat and not needing a day job is multiple income streams. College shows – this is my favorite. The audience is usually smart and sober. Featuring and/or headlining clubs and bars outside of NYC – you do 30 to 45 minutes, and spend lots of time seeing the country, or country’s highways at least. 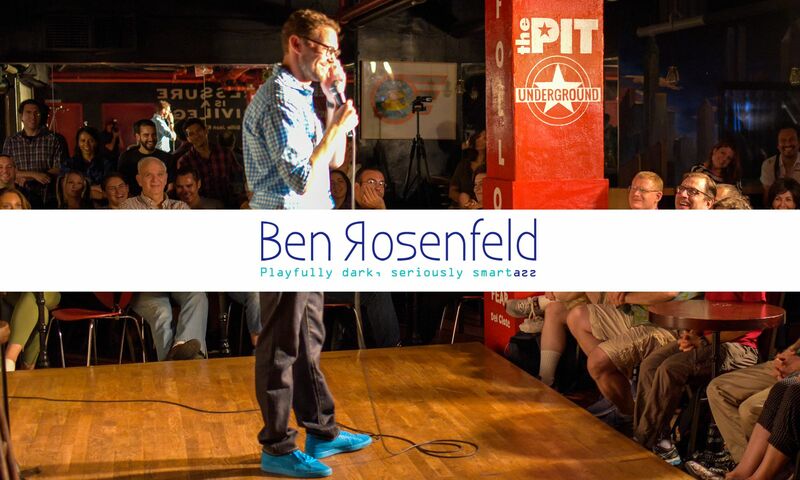 Performing stand up on a TV show, Netflix or Seeso – this can range from a few hundred dollars for less popular programs to thousands of dollars for more well known brands. 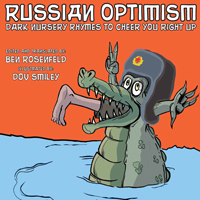 Book sales – A couple of years ago, I put out a book, Russian Optimism: Dark Nursery Rhymes To Cheer You Right Up. It’s been an Amazon Top 20 Best Seller in Dark Humor Books. I sell it online and after shows. 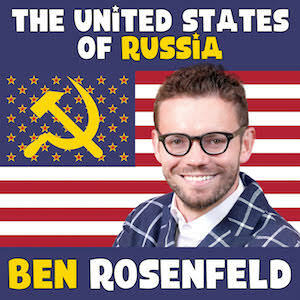 Album sales (via iTunes, spotify, etc) – I have recorded and put out two comedy albums. Anytime someone buys it on iTunes or Amazon, or streams it on Spotify or some of the other services, I get paid. Album royalties (XM radio plays via SoundExchange) – my second album is getting played on Sirius XM radio, and I get royalties from that. Radio and voice acting – I do a bunch of voice over work. Commercial and legit acting – I spend more time auditioning than getting paid to act, but this is one of those lottery parts of comedy, you get one right role and everything else falls into place. Video editing – Over the years I’ve taught myself video editing and now other performers pay me to help them. Directing – I taught myself how to direct (and be director of photography, and do the lighting, and the sound) and now others pay me to run their web series and short films. Video filming – I’m good at technology and sometimes film live comedy shows for other performers. Creating and selling your own TV show or movie – this is different than writing for someone else’s project, as you create the idea yourself. You can also get paid to write it in advance (or write it for free and then try to sell it) and it might still never get made, or only get made as a pilot and never aired, but you will have still made income from this. It’s also different from acting, because you may not be in the show (think Larry David at Seinfeld). Conclusion: There’s more than one way to make rent, it’s about staying flexible, finding your niche, always improving, always creating and always hustling. try and catch one of your show if you’re performing. Good Morning just wanted to know how to make xtra income on selling jokes. I write them myself but dont really want to do the comey shows. Any suggest ? I’d recommend hanging around comedians. Watch their sets. Suggest some changes that make their jokes funnier. If you do this consistently enough, you will start to get paid for it. Otherwise, you can write late night packets and try to solicit a literary manager/agent, but that’s usually tougher. Well, i believe i can make a whole stage have a good time doing stand up comedy but i dont know where to start.